The burgeoning commercial and green building sectors especially in the high growth ASEAN region has meant increased demand for high performance green building materials. We at Eco Built Systems, utilize indigenous mineral composites to make Magnesium Oxide to be used in prefabricated buildings. This Magnesium Oxide is based on SIPs and Boards. Our Green Building Composites are not only vital components in our Sustainable Domes but are also made of unique blends similar to those found in outstanding structures that have stood the test of time such as The Taj Mahal, The Greek Parthenon and The Great Wall of China. This blend of minerals Magnesium Oxide and Geopolymer remains effective to this day and age. 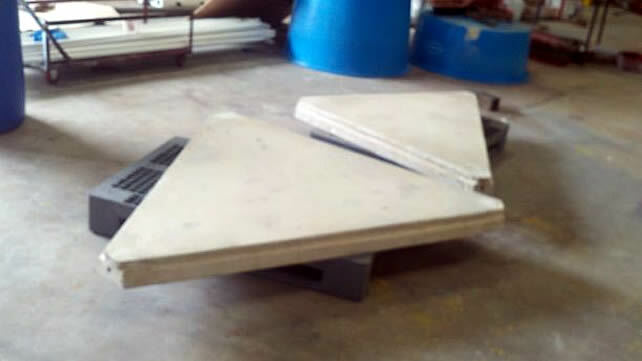 SIP stands for Structural Insulated Panel. Just as the name suggests, SIP panels are insulated with mineral foam which is non-toxic. This mineral form consists of Magnesium Oxide and coconut fiber. The structure of SIPs is largely Magnesium Oxide ceramic cement board which is augmented by rubber tree saw dust and basalt; all with indigenous fibers. Eco Built SIP panels are therefore environmental friendly and non poisonous. Other than being environmental friendly and non poisonous, Eco Built SIPs are also 100% breathable. This is because they are optimized by proprietary mineral blends that allow provide sufficient aeration at the same time providing best industry practices in terms of thermal performance. Our SIPs do not use foams made of OSB, formaldehyde, urethanes, acrylics, glues, EPS or XPS and neither do they contain VOCs nor CFCs.